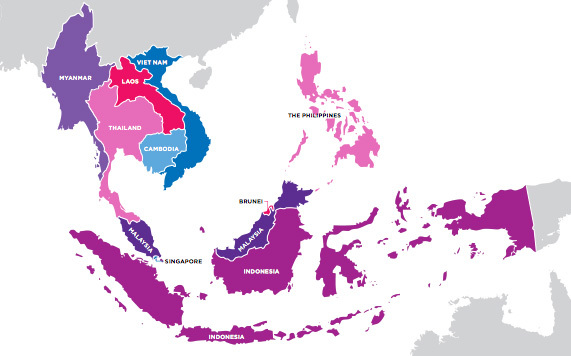 The buzz around the Association of Southeast Asian Nations Economic Community (AEC) implemented at the end of 2015 seems to have died down recently, even as the 10-member bloc continues to work towards breaking down barriers and bridging borders. According to the Asian Development Bank (ADB), the Association of Southeast Asian Nations’ (ASEAN) intra-regional trade intensity index was 3.54 in 2014, far higher than the European Union’s 2.04 and East Asia’s 1.54, making regional trade more important than world trade to ASEAN compared to other regions. The case for faster and closer integration is very apparent, but bringing together the 10 markets is not and will never be an easy task. With GDP per capita in places like Singapore being 55 times bigger than in Cambodia, it is very unrealistic to expect the AEC to produce a speedy fix-it-all approach(s) to integrate markets as diverse as those in ASEAN. Focusing on smaller steps is the most practical way for closer integration to happen faster and generate more trade. Simple ideas for coordination should be explored and implemented by ‘ready’ countries first, with others joining later at their own pace. The ‘power of one’ approach – the creation of a single component that will make it easier for corporates, especially small and medium-sized enterprises, to do business in the region – is an effective way to accelerate economic integration. As ASEAN countries strive to simplify and harmonize customs and other border procedures, a quicker approach to stimulate trade and reduce corporate cost is to introduce a one multi-jurisdictional bank guarantee for the movement of goods across multiple markets. The good news is that discussions are underway to pilot this program among a few ASEAN countries. If the pilot is a success, it can be extended throughout ASEAN for widespread benefits. The ‘power of one’ can also be applied to ASEAN currencies. As they are restricted and not freely tradable, the use of US dollars in ASEAN trade settlements helps overcome non-convertibility issues. But this isn’t always cost effective. Similar to what China did to encourage renminbi use for trade, ASEAN could create a pool of a few local currencies for settlements within the region to reduce its US dollar dependence. It may be challenging to pull together a few currencies, so starting with one ASEAN currency, before gradually adding a few others would be a practical approach. For example, you could have a Thai exporter and a Malaysian importer, currently settling trade in US dollars, with each paying to hedge foreign exchange risks. If either of their local currencies was made freely tradable and could be used for settling the trade, only one of the companies would have to incur hedging costs. By gradually using ASEAN currencies, conversion costs and hedging risks will fall, ultimately helping regional trade to increase. While ASEAN businesses are keen to access regional capital markets to widen financing options, companies issuing cross-border securities need to prepare separate prospectuses, complying with each market’s local legal and financial requirements. Tax, accountancy and insolvency treatments are thorny issues to reach consensus on, but exploring ways to simplify the securities-offering process by making one prospectus work across different jurisdictions would be a small move in the right direction. Ajay Kanawal is the former Regional CEO, ASEAN and South Asia (ASA) at Standard Chartered. He joined Standard Chartered in 1992 from Citibank in India and throughout his career, he has worked across various roles from risk management to marketing, as well as leading the Retail and Private Banking businesses of the bank. Before assuming the role of CEO, ASA of Standard Chartered in 2015, Kanawal held a number of senior leadership roles in the bank, including Regional CEO of North East Asia, Regional CEO of Taiwan and Regional Head of Consumer Banking in South East Asia. He holds a Bachelor’s degree in Engineering and a Master’s degree in Marketing in India. *This article was first published on September 5, 2016 by Emerging Market Views. Connect with @emviews for more global coverage of the world’s emerging economies.